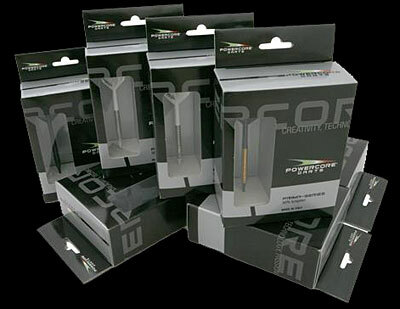 PowerCore originated from a collaboration of Italy's Finest Darts Players and a technician with 30 years experience in Precision Engineering. PowerCore aims at satifying the needs of professional and amateur players with a product that stands-out for it's "Made in Italy" High Quality. Barrels are available in Regular Tungsten or Titanium-Nitride Coated- Black or Gold.